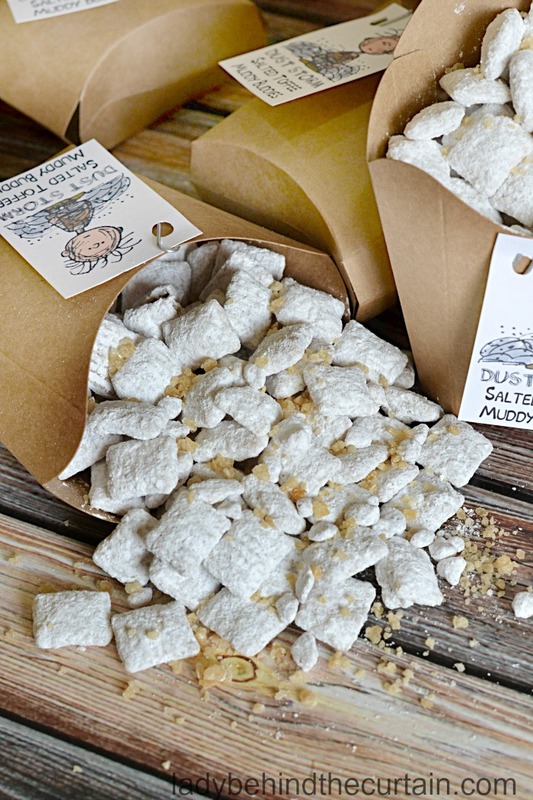 Dust Storm Salted Toffee Muddy Buddies | A delicious sweet and salty treat that can be made in just minuets! 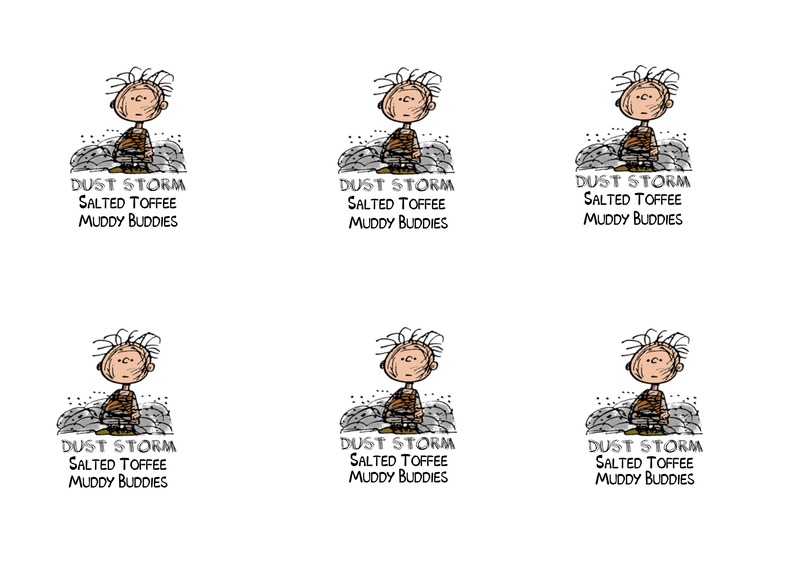 What better way to celebrate the release of the New Peanuts Movie then with PIGPEN! 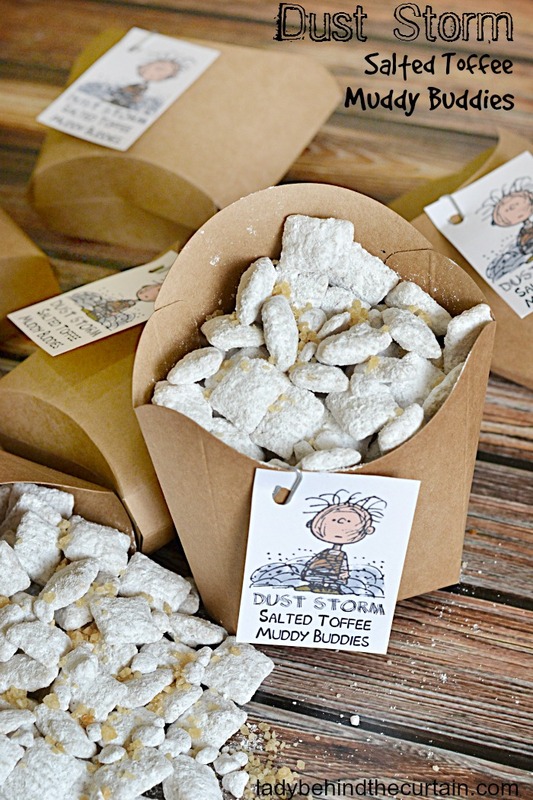 Pigpen loved walking around in his own dust storm so to honor him and all his dirtiness I created these delicious Salted Toffee Muddy Buddies! 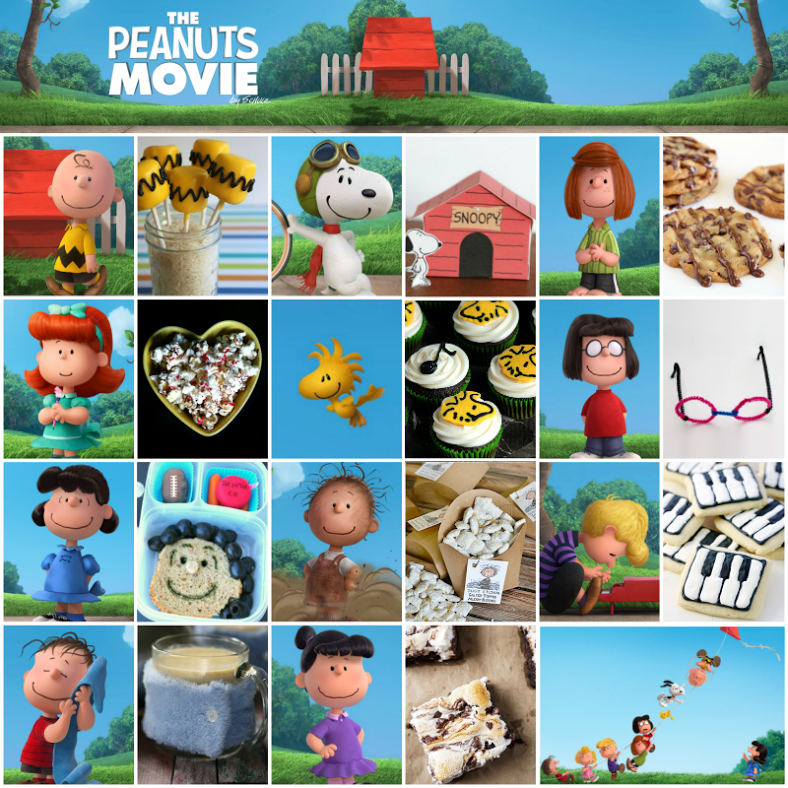 I’m celebrating the new release of Peanuts Movie with some of my friends! Scroll down to see the creations they’re sharing to celebrate this movie! Serve this delicious treat at a birthday party, on game day or give as a party favor. The perfect little somethin’……somethin’. 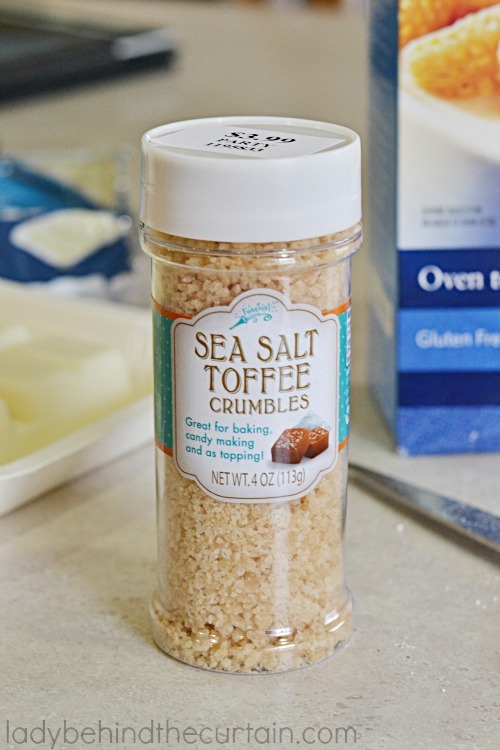 It all started when I found this bottle of Sea Salt Toffee Crumbs at Hobby Lobby. If you can’t find them or don’t have a Hobby Lobby near by you could use Heath Toffee Bits, chop them up and add some salt! 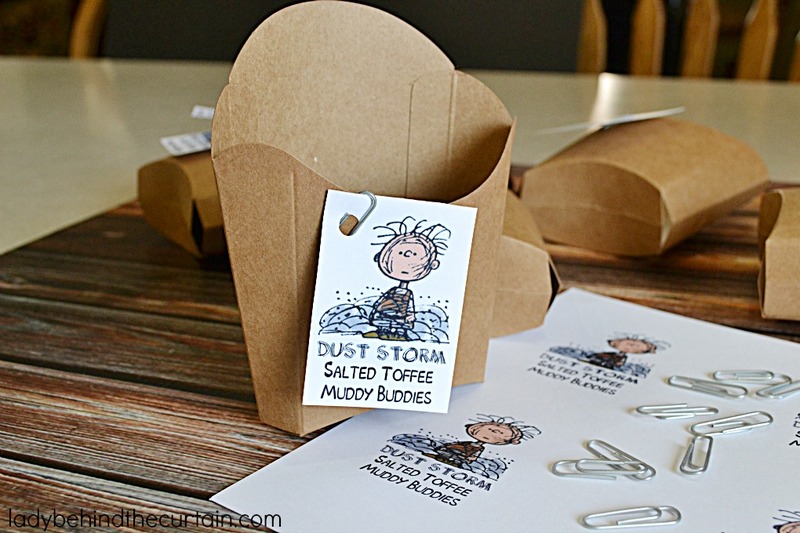 PRINT OUT YOUR OWN DUST STORM TAGS! 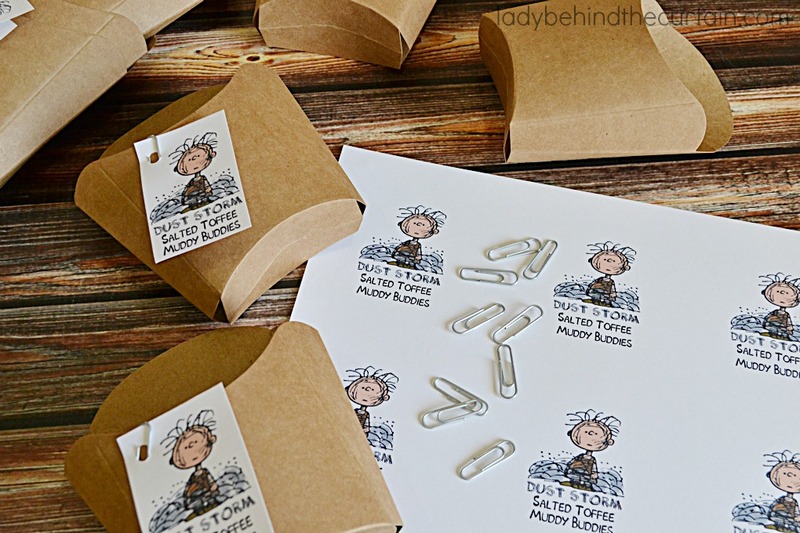 Place a piece of parchment paper on a rimmed cookie sheet and set aside. 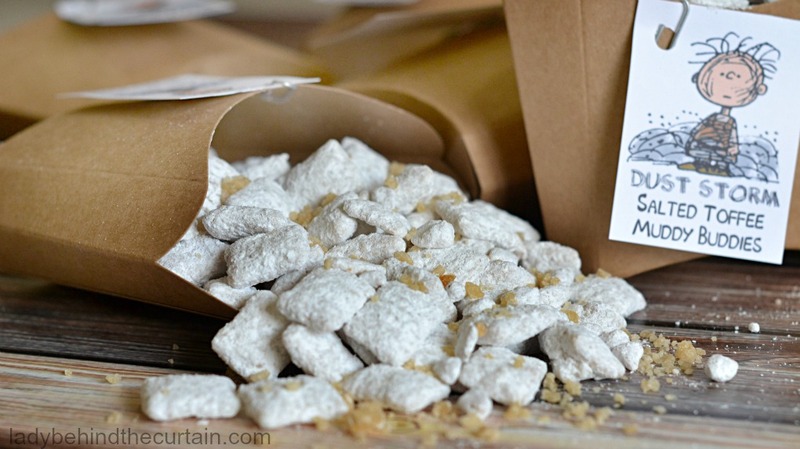 Pour the dry pudding mix and confectioners' sugar into a large zip top bag or paper sack. 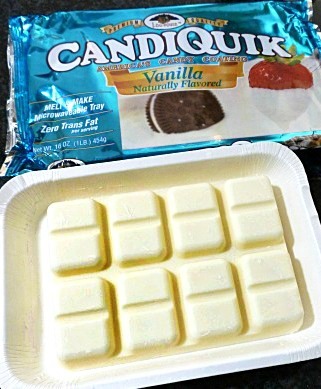 Melt the vanilla candy ( My favorite is CandiQuick ) according to the package. Once candy is completely melted pour over cereal; add the toffee bits and toffee crumbs and stir to mix making sure the cereal is completely coated. Pour candy coated cereal into the bag with the pudding and sugar. Shake until the cereal is coated; pour onto prepared cookie sheet. These are seriously fantastic. From the flavor combo you chose to the fun tags – and the way the dust storm relates to Pigpen! Love it all.